Tracey CostescuCommission Portraits & Original Artwork: How Would You Like Your Portrait Done...For Free? 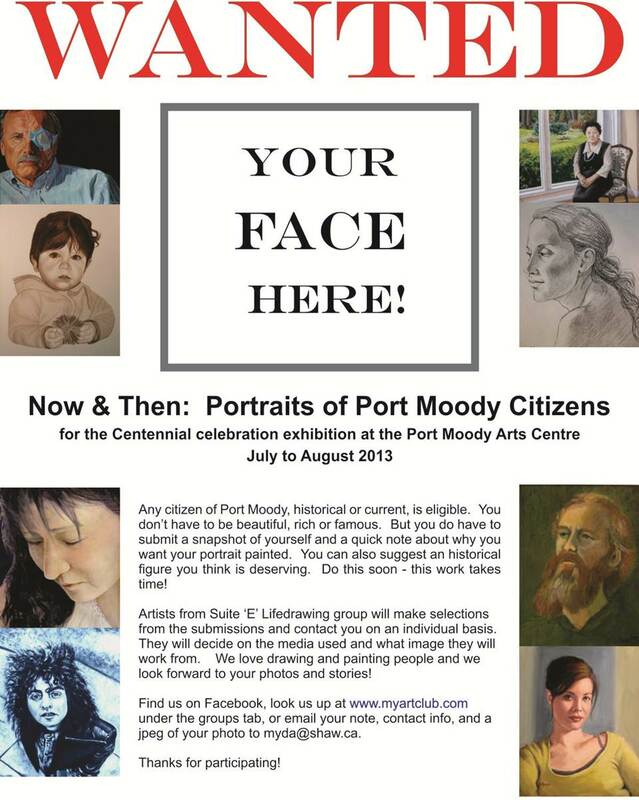 Suite E Life Drawing Group will be painting and drawing portraits of past and current Port Moody Residents as part of our Now & Then: Portraits of Port Moody Citizens show at the Port Moody Arts Centre. If you are interested in submitting your image or would like to nominate someone, please visit our Facebook page, https://www.facebook.com/suiteelifedrawing to submit your images and information. If your image is selected, you will be contact to discuss having your portrait done. The original portrait will be the property of the artist but you will be provided with your own high quality print for framing and first option to purchase the portrait if you choose to do so. So what have you got to loose? 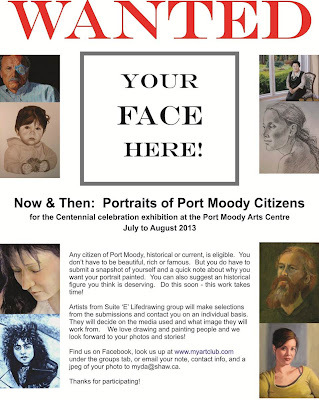 Visit our Facebook page today and have your portrait as part of the Port Moody Centennial celebrations.